Will 2018 Be Another 'Year of the Woman' for U.S. Politics? As of this week, 233 women candidates running for Congress or Governor will advance to the primaries -- the highest number in history. 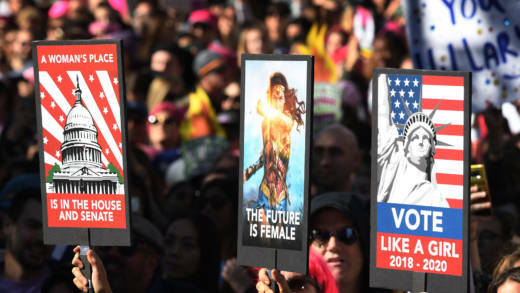 Since 1992's "Year of the Woman," when voters elected more women to Congress than ever before, women have made steady gains in Congress until 2013 when numbers stalled. With record numbers of women getting involved in politics this year, 2018 is poised to be another watershed moment. As part of KQED's 'The Long Run' series, we'll look at why more women are running and hear from some first-time candidates. And we'd especially like to hear from our female listeners in this segment: how - and why - have you increased your political involvement this year?